Certain financial mistakes made during divorce settlement may mean the difference between setting one or both spouses up for success or future financial failures. Here are five financial mistakes that divorcing couples should avoid. People need to have an accurate picture of what they can realistically afford on their own before agreeing to the terms of a divorce. Making a budget requires people to face their financial circumstances, no matter how uncomfortable they may be. Failing to create a post-divorce budget before settling a case could lead to financial problems that last long after the divorce is finalized. It is important for each spouse to have an accurate picture of each other’s financial situation. 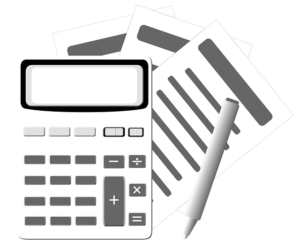 Having a budget and financial balance sheet is great, but the financial documents that support those documents are needed. Not taking the time to do due diligence with financial information is a mistake to avoid because it could lead to one spouse getting short-changed in a divorce settlement. Once all financial documents have been obtained, they need to be read and understood by each spouse. Understanding financial documents may require help from a divorce lawyer, an accountant, or a financial consultant if complicated liabilities, retirement accounts, or investments exist. Both spouses need to have their assets properly valued to ensure that each spouse walks away with assets of approximately equal worth. Dividing assets without having them accurately valued could be a very costly mistake for either spouse.